Healthy delicious vegetarian omelette as breakfast or side dish. Normally if we say “Omelette” it is understood as made out of Eggs but here, It is made without egg, Yes!!! tastes great like egg omelette. 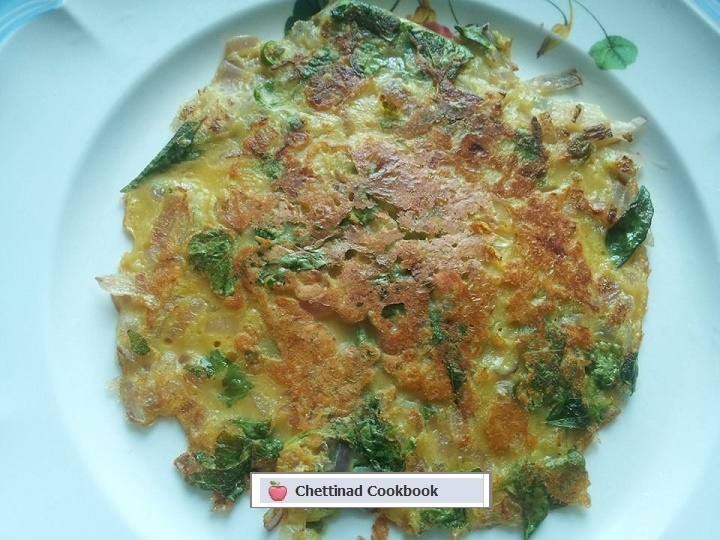 Let us look upon the recipe of this yummy vegetarian Omelette. Same procedure below can be followed with egg in the place of Gram flour. Gram flour-4 tbsp To make 3 to 5 omelette (Same procedure below can be followed with egg in the place of Gram flour). Any Greens -1 hand full I have used Mulai keerai in english we say Amarnath leaves. Even chopped mushroom can be added. 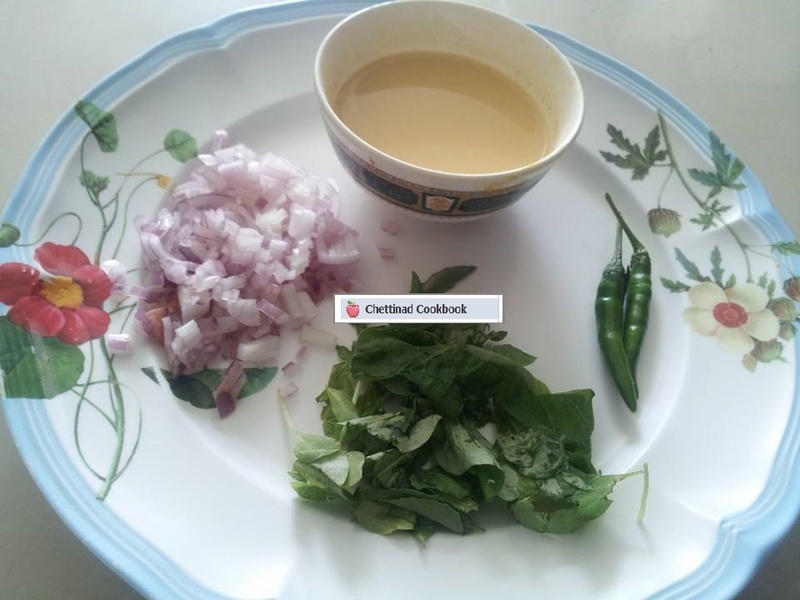 In a bowl pour Gram flour, milk, salt, chopped onion, finely chopped green chilli and greens. Add 1/2 cup of water and mix it well by hand without any lumps it should be little watery than dosa batter consistency. Heat dosa pan pour 1 Ladle of batter, smear 1 tsp of oil around the Omelette. The colour will gradually changes, when its fully changed turn the other side sprinkle half teaspoon of oil around. Remove from thawa when it is cooked, serve hot and enjoy. No doubt gives you nice aroma and taste.